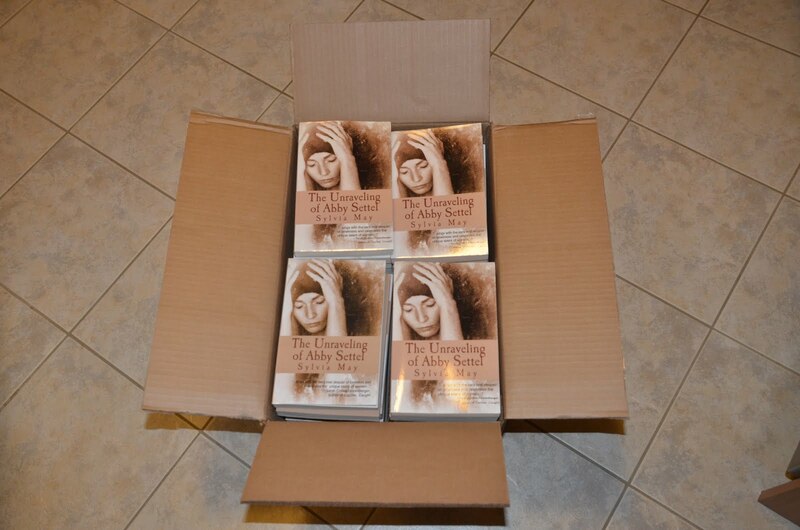 As you may recall from an earlier post, I had arranged to have the print copies of my book sent to my daughter’s address in Ontario, since shipping them to Bermuda was costly. Last week we flew to Ontario, and of course it was wonderful to walk through the door of our daughter’s house and give her and our son-in-law big hugs. But then I made a beeline for the box I saw sitting in the kitchen waiting for me. We all gathered round as I slit through the tape and opened the box. What a thrill to see my books. I picked one up, stroked the cover, fanned through the pages, looked inside for details. It was beautiful! I have always wanted to be a writer. As a grade-schooler, I filled many school notebooks with “novels” about orphan pioneer girls; when I was a teenager I wrote poetry and short stories. And then, as an adult, I pursued other careers (Computer Programmer, Piano Teacher, Music Theorist), married, and became a mother. My writing was pushed aside. But in the back of my mind, I still hoped to one day be a published author. When we moved to the States a few years ago, I was not allowed to work and in essence became “retired” at the young age of 50. As I tried to fill my days, it suddenly occurred to me that if I was ever to write a novel, that was the time. Either I do it, or stop dreaming about doing it. And now I can hold my book in my hands. It is the realization of a life-long dream. There is nothing to compare to what I felt in seeing the culmination of what began as an idea in my head, then became a Word document on my computer, and now is an actual book. Can you imagine? What is your life-long dream and how will you make it happen? Visit my website to find out more about the book, watch the trailer, or buy it on Amazon. I’m guest blogging at the Cozy Chicks today. Check it out. Have you ever had to move away and start over in an unfamiliar place? Leave behind family and friends and everything familiar? 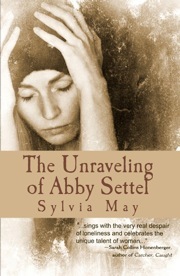 If so, then you’re sure to relate to the main character of my book, The Unraveling of Abby Settel. I woke up very early this morning. Very early. Today’s the day! My book is out in the world. 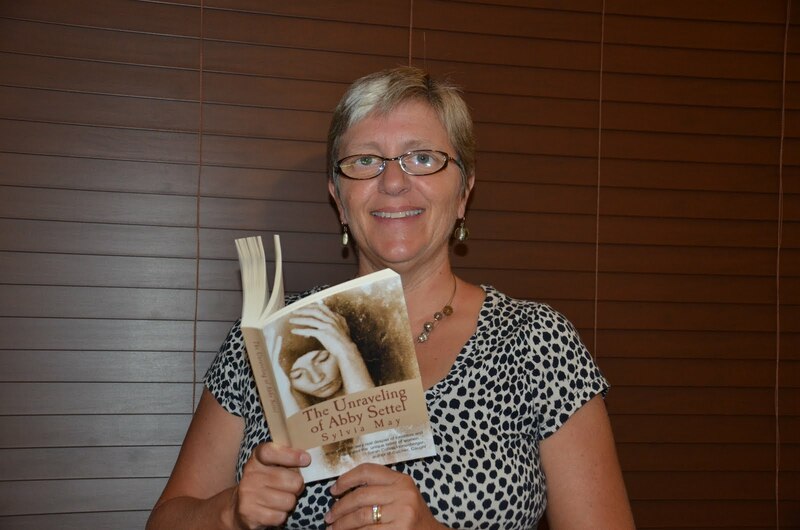 Today you can buy it from Amazon or directly from the publisher, Turquoise Morning Press. Soon you’ll also be able to purchase it from Barnes&Noble, Kobo, or even order it from a bookstore. 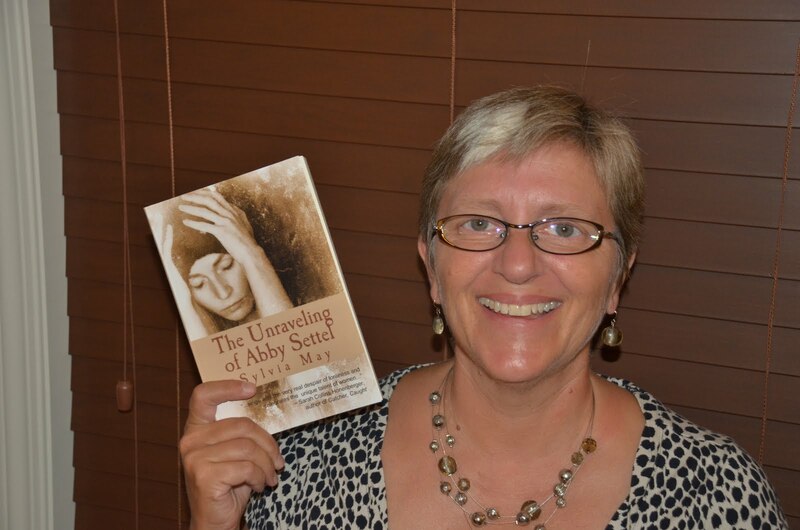 Be sure to check out my website to find out all about The Unraveling of Abby Settel. Am I excited? You bet I am. But, if I’m completely honest, the excitement of the release has been slightly dampened by the fact that I don’t have a copy of the book in my hands yet. Well, that’s not entirely true. I do have a digital version on my iPad and it looks amazing. But there’s nothing like the cracking open of a real book, reading the words I wrote, feeling and seeing the cover…at least, I imagine there’s nothing like it. After all, this is my debut novel. But I experience that feeling all the time when I get a new book written by someone else, so I expect my reaction will be hundred-fold to that with The Unraveling of Abby Settel. So I’m thinking of this as release week. Because by the end of it, I hope to be actually turning the pages in my first Sylvia May novel. Will you? Tomorrow is the big day. My book will be released to the world! I’ve received thrilling emails from my publisher, Kim, about the book going to print, about e-book files, preparing for release date. As she put it, we’ve birthed a book. Tomorrow you’ll be able to order your copy — as a trade paperback or digitally for a variety of e-readers. Personally, I can’t wait to hold it in my hand. There’s a box of advance copies en route to my daughter’s house in Canada. We’re traveling there next week, and should arrive on the same day as the books (if the shipping arrival estimate is to be believed). How exciting it will be, to open that box with my family. And I am wired. All week my brain has been whirring with lists, interfering with my sleep. Yet I don’t need coffee to keep me energized. The anticipation keeps the adrenaline running through me. Today is August, the month of my book release. In 22 days, my manuscript will be available as a book. It feels a bit surreal to me. People have been asking me how things are going with the book, and what I’ve been doing with it prior to its release. In response, I thought I’d list the tasks I’ve been involved with over the last month or so in preparation for the big day. *First there were the edits. My editor, Wendy, and I worked through the manuscript a couple of times to tweak sentences, check grammar, look for inconsistencies, etc. Thankfully, this process was relatively painless, as there were not too many issues. *Once the final edits were done, the manuscript was submitted to Kim, the publisher, to work on formatting it for digital and print versions. After a few weeks, Kim sent me the galleys, a last chance for me to go through and catch any errors the might have been overlooked. I submitted the final galleys back to her last week, and the book is now in its final stages of formatting before its release. It seems that there’s always so much more to do! Soon you’ll be able to buy my book, but in the meantime, if you haven’t done so already, check out my Book Trailer and “like” it, “share” it, leave a comment. Or go to my Author Page on FaceBook and “like” it, “share” it, “subscribe” to it. I can’t wait to hold the book in my hands. But until that happens, the work of an author is never done.